Navigate to google forms and create a form with the required fields. 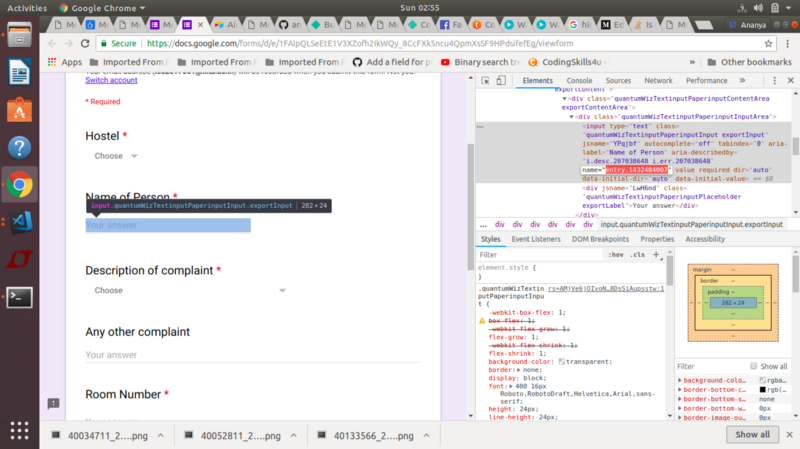 Create a html form with the same fields as mentioned in google form so that you can connect your google form in it. Navigate back to the google form you created and inspect the Google form for action attribute. Copy the same action to your html form. Inspect and find values for attributes name for every field mentioned in Google form. Give the same name values for your html form items as well. The values look something like entry.742532386. 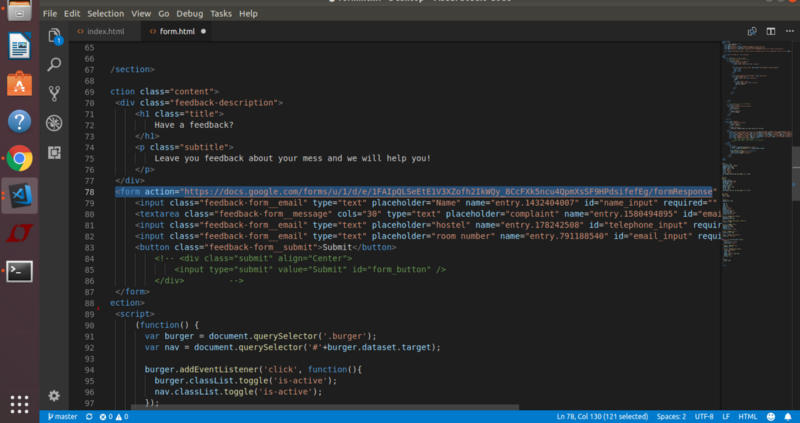 Put this value in the html form field using tag. Fill a test input in your html form and verify whether your google form is getting the response or not. 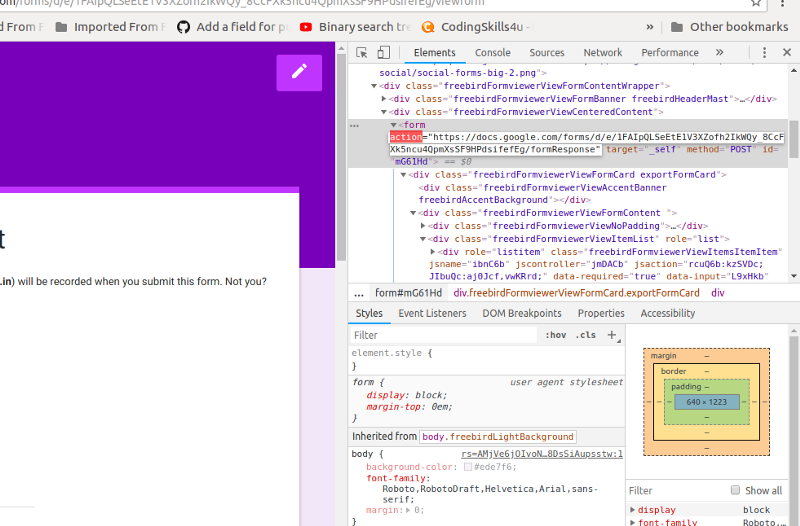 Sample html form with google form embeded in it. Sample form with google form linked in it.